Westwood: Punk, Icon, Activist is a new feature-length film celebrating the artistry, activism and cultural significance of Vivienne Westwood, due to be released (23 March 2018) after recieving critical acclaim at the Sundance Film Festival. Directed by Lorna Tucker, the documentary interviews Westwood’s collaborators, friends and family. The film also marries new footage with archival shots to convey the artist’s path to success, her creative world and relationship with Malcolm McLaren in the 70s. It’s an intimate and poignant homage to a true cultural icon of our time, as she fights to maintain her brand’s integrity, her principles and legacy - all the while striving to operate ethically in an industry typically driven by consumerism, profit and global expansion. 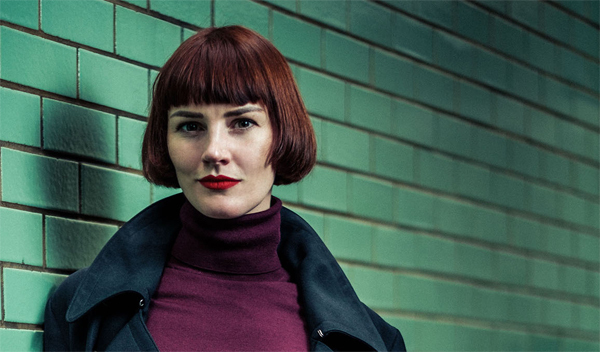 Here, Julien Planté talks to Lorna Tucker about filming Vivienne, the challenges, inspiration, and Lorna's own story: from homeless Londoner to becoming a selected film maker at Sundance Film Festival. Julien Planté: Tell us about the film. Lorna Tucker: The film is a portrait of the artist and fashion designer Vivienne Westwood intercutting observational footage of her today, fighting to turn her company around to be more sustainable and streamlined with narration from Westwood and those closest to her to bring to life the most defining moments of her career. 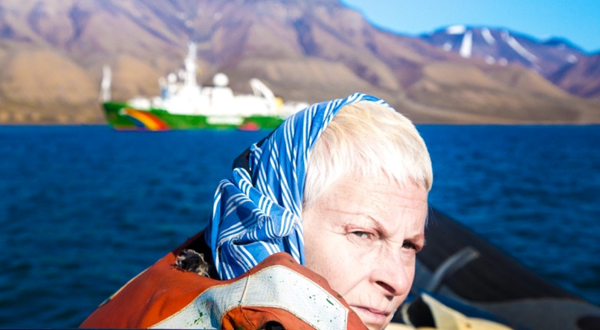 Julien: How did you get access to Vivienne Westwood and her universe? Lorna: I originally met Vivienne in 2008 through a band and we kept in touch over the years until Dazed and Confused asked me to do an online take over. Naturally, given Vivienne was such a huge inspiration to me, I invited her to be involved with it. After this collaboration I knew instantly I wanted to get to know her more, and show the world the sometimes kind, sometimes unforgiving, unapologetically strong woman that she is, and bring her life to a wider audience so they could see the Vivienne that I had gotten to know over the years. When starting out on any project, whether that be filming bands or making a documentary, for me it is all about gaining trust, slowly building up the filming days in a natural and organic way and letting people get used to having a camera around so eventually you become part of the furniture and people start to behave as themselves. You have to be patient. Some days you don’t expect to get anything, as that is just part of the process, but they are the days that can sometimes reveal the most intimate or interesting moments. You just have to be willing to hang around in case something happens. We all portray ourselves in a particular way when in public, especially if you have a camera in your face, so the most important thing for me is to break past the self that a person wishes to portray, in order to get underneath the skin of who someone really is. Vivienne, her family, and her colleagues are all super nice and as you see in the film the company is like a big family so it took a long time to get people used to me filming, and I had to be respectful with their space so as not to interfere with the working studio. Julien: You present us some little gems in your films, especially when Vivienne is at work with Andreas Kronthaler. Was it your intention to show them as a duo, 50/50 responsible for the success of the fashion house? Lorna: Prior to filming I had no idea of how involved Andreas was in the designing. I had met him only a handful of times before and knew he was working alongside her, but watching the way that he worked, and they worked together was mind blowing. Watching him take his own line during the years that I filmed and focus on his own creations was such an incredible thing to witness. 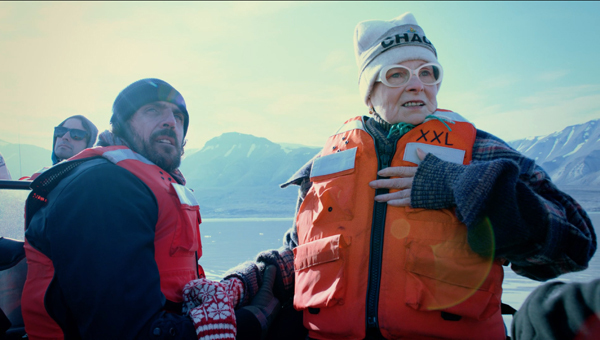 Julien: Another striking thing in your film is to understand that Vivienne didn’t have an easy road to success. She has been challenged, and sometimes mocked. Did you also want to do the portrait of a woman, how she overcame all the difficulties to become how she is now? Lorna: Absolutely, I really felt that her story, and the hardships she had to overcome, was such an inspiring one and that a whole new generation could be inspired by her. I think a lot of people have no idea about the hardships she has had to overcome and that was the one thing that inspired me the most. Perhaps because it has been quite a hard journey for myself too, carving out a career as a single mum and not coming from money. So many people over the years couldn’t understand why I would carry on making films in spite of the fact I wasn’t earning money from it, and no one was interested in financing or backing them as I had never delivered a feature film. It was that classic Catch 22, when people won’t back a project unless you have made a film before, but how is one to make a film without backing. So, you just have to commit to the fact that you will be broke, and you have to be a jack of all trades until you have enough of something to put on show. Julien: How do you reflect on your own journey, having been homeless and now a successful filmmaker with a film at Sundance? Lorna: It’s been a long journey for me and I’ve made a lot of mistakes along the way. But, my past just makes me so grateful to be here now, and to have the opportunities I have, and a voice to make the kinds of films that I want to. I can’t complain, right? The future is looking very bright with a new project now in production. It’s amazing for the first time in a very long time, to be starting something new. 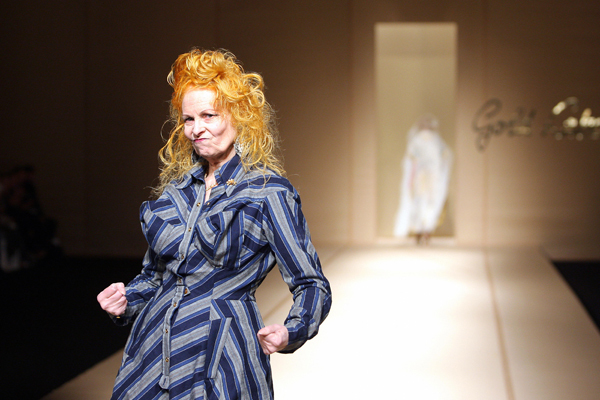 Julien: What’s most inspiring about Vivienne Westwood? The fashion designer or the activist? Lorna: What I was trying to show is that she has always been an activist; her earliest acts of rebellion were as a young child, always questioning. She has always been an activist and today that informs her every decision and her fashion, so it’s hard to separate it. For me it’s her strength to always overcome and keep moving forwards without any self-pity when things get tough. Julien: What was the process of making of the film? Lorna: The film took four years to complete. The filming took the longest as, to begin with, it was mostly self-financed so myself and the producer would just pop in and film when we could; and editing was very intense. I had an incredible editor/collaborator/therapist in Paul Carlin. We both had the same vision in how we wanted to tell the story, so it was a super fun process. Julien: Vivienne Westwood does not want to be linked to the film: do you understand her reaction? Lorna: As a filmmaker I have to protect my integrity, as well as maintain trust and respect of the subject I am working with - so I would be lying if I said it didn’t bother me that she is unhappy that I wouldn’t take direction from her on the edit. I wish she did like the film as I feel it is the most authentic portrait, and portrays her in a very graceful way: as an inspiration, portraying her as one of the true great artists England has produced. It isn’t an advert or a fluff piece for the brand, nor is it propaganda. I am truly proud of the film I have made.